Below are testimonials from past clients. Leo was there every step of the way with me. Anytime I had a question he was there with the answer. He even came to my office several times to consult. I never once felt like I was in the dark or did not understand something. If I ever decide to sell this house and invest in another I will definitely use Leo again. I could not have asked for a better buying experience and this was my FIRST home ! Leo, I wanted to take a moment and thank you for the real estate partnership you have been so committed to over the last year with my personal and investment properties. You were and continue to be there for me with knowledge and assistance no matter how big or small the real estate opportunity might be. Balasco Properties will always be a client of yours. Thank you Leo for the wonderful real estate service you provided me. You went above and beyond my expectations. You helped me with everything throughout the entire process and you even helped me MOVE ! That's incredible customer service. I will treasure this home-buying experience forever. Leo was awesome from the first meeting, throughout our house search, and after closing. He has a great personality, gave us good advice, and his expertise of the Fort Mill market helped immensely! Thanks to Leo, we got our house on the market & sold in less than 24 hrs. His expertise in the Carolina housing market is above & beyond what we could've asked for. If you are in the market for a new home or are first time home buyer, give him a call. Leo will handle everything in a professional & diligent manner. Leo Flynn was great to work with. Besides being knowledgeable and patient he is honest. He helped us in so many ways. We found a great house but also a great friend in Leo. He is always there. Very professional and wonderful to work with. If you are wanting to work with a professional that always puts his clients first. Leo T Flynn is that Realtor for you ! A genuine person,always looking out for his clients.The best realtor I ever dealt with. Leo is amazing. He had a tough job dealing with my husband and I - but he handled it like a true professional. One of us wanted a house out in the middle of no where on 5 acres - the other wanted a house near shopping! I don't know how he did it but Leo found us the perfect home. We will never be able to thank him enough for all he did for us - and is still doing for us. We are new to the area and without Leo - we would be lost. I begin this review by saying that I am an infamously cynical and critical person, but I cannot say enough good things about Leo. Leo was prompt to respond and always on topic, always there when needed. Leo was there to give advice and recommendations where needed and never made me feel as though I was getting 'pitched a sale.' Leo was an aggressive advocate on our side and I would not hesitate to recommend his services to friends and family. What can be said that hasn't been said of Mr. Leo Flynn already?! Leo made the entire process easier than expected because of his engagement, expertise, negotiating, advocacy, and input. One trait that truly stood out about Leo was his ability to truly understand the human factor of such an intense process...especially for a first time home buyer. We truly appreciated his input/approach and would definitely recommend! Very professional and knowledgeable. His marketing skills and the marketing he brings to selling your home is top of the line. He listens and offers suggestions when needed. Great ability to price the home for sale accurately which moves you quicker to an offer and contract. Responses quickly to any questions you may have. Offers great assistance in moving from offer to closing. Leo made the sale of my home stress free which was a great relief. Would high recommend him for anyone looking to sale. Leo did a fantastic job for me and my wife. This was a long distance transaction with numerous items that needed attention prior to the closing. Leo went over and above the call of duty to help us in terms of going to the house to meet contractors and carpet folks. Let them in and inspecting the work for us prior to our arrival. He was very reliable and available whenever we called or needed him from anything. Leo has been the most conscientious, diligent and professional person and realtor I have ever had the pleasure to work with to buy a home. His work ethic is second to none. He is fastidious and man of action. Leo gets the job done. We could not be more pleased with his dedication to us as his clients. Our best interest was his main concern. I have the highest regard for him as a person first and a realtor second. If you want the job done and right go with Leo. Thank you so very much Leo with all our heart. Having just moved to the Charlotte area, I was out exploring the area with my father when he suggested we stop into a real estate office so he could inquire about property within York County. We happened to cross paths with Leo that day and while I listened to Leo talk with my father, I realized he was just the person that my husband and I needed to work with for our house hunt! Leo was so helpful with asking the right questions to start a house search, he met with us to teach us more about the area, he was very accommodating to show us houses, and he always responded to calls/texts/emails quickly. It didn't take us long to narrow in on the house that we wanted to make an offer on. He took us from the offer all the way through the closing and he literally created our team of people to make the process go so smoothly. Overall we had a great experience with Leo, we would highly recommend him to others, and he is nothing but professional and courteous the entire way through. We thank Leo for getting us into our wonderful home! Leo Flynn is the best Real Estate Agent to have for one reason...his ability to get the job done. I know because he was able to sell my house, help me buy a new one and close both in one day. I already had a Realtor who listed my house and was unhappy with the results due to bad pictures and lack of showings. I re-accessed my house listing, got rid of the realtor and hired Leo. Best move I ever did! I sold the old house at the highest price possible and bought the new one $5,000 below asking! That is how you want to move! Both were closed on in the same day and within hours of each other so I did not need to worry about where to stay in between closings. Another good thing about Leo is that he knows everybody....I remodeled the new house with contractors referred to me by him. I will definitely sell my house in the future and Leo will be the first person I call! Leo understood my budget and what I was looking for. He gave me plenty of property options and was willing to walk me through the entire process from the first look at the home to closing. He was willing to go the extra mile, even putting in time after normal business hours, to help get me in my dream home. Leo was awesome from the first meeting, throughout our house search, and after closing. He has a great personality, gave us good advice, and his expertise of the Fort Mill market helped immensely. As soon as we found out we'd be moving to Charlotte from Virginia, we contacted Leo and immediately got to work on trying to find the perfect home for us. We told Leo exactly what we were looking for in the "perfect property" and being out of town, he sent us a list of homes he thought we would like. He was very good at listening to what we wanted, what we liked, and especially what we did not like. He listened to our feedback and from there found us amazing properties to view. We ended up finding this gorgeous property that we wanted to jump all over, but unfortunately, as things do sometimes, it did not work out. Back to the drawing board we went. Leo was always on top of everything. He worked so hard and never gave up. If we found a property we were interested in seeing right away, he got us in to look at it as soon as possible. Weekends, evenings... any time of day he was there for us. One day the stars aligned and we found the perfect us for us. Of of course it did not go without some hiccups, but he handled them beautifully and in the end we got the house, and at an amazing price. Thank you, Leo for working SO hard to help us find our home ! We chose Leo to list our home, and it was the best decision that we could have made. Leo drew up a great plan and we became a team. Instead of reacting to issues that may come up during the listing of a home, we were proactive. Leo’s decision to have the inspection first was brilliant. We found our problems and had the time to rectify them before we headed to close. By time the house was listed to show, we had all issues completed and had a copy of the fixes to see during the showings. Leo’s communication was impeccable and answered every question that we had. "Just closed on a new construction home with our realtor Leo T. Flynn at Riverchase (Meritage Homes). My husband and I are from New York and are relocating to Fort Mill, S.C. We have had some experience in New York working with realtors in the past during previous home purchases. This however, was the first time we had ever experienced building our own home and the relocation process. We are writing this review to say that Leo was by far the BEST realtor we have ever worked with. Leo was professional and courteous but, most importantly ALWAYS there to answer our email, phone call or text during the most stressful times of our new build. We are appreciative to have had Leo on our side at all times and would definitely use him again and recommend him to anyone." Leo was thoroughly enjoyable to work with. He definitely knows his stuff and the market. My house sold for the asking price on the fourth showing - impressive! Leo is the platinum standard to which all realtors should mirror. Upon meeting Leo when I requested to see some homes with my parents who were moving from another state, I noticed that he was not the run of the mill type of realtor. Many realtors today show you nice home. Leo goes through the home and describes the fine points of the house and also where the home may require some attention. Some of the homes we looked at had noticeable items that may need attention. Leo expressed his knowledge on materials and round about cost to address those issues. We notice one house needed updated carpets. Leo Broke down the price per square footage to replace what might have been the same type of carpet. One house has outdated counter tops and we wanted Granite. Leo provided us with a round about figure of what it might cost to renovate that particular type of material. A year later we finally were ready to purchase a home and Leo was Johnny on the spot. He provided a list of mortgage companies and law firms to handle our purchase. Leo came with us to the home and assisted in the negotiation of the price which worked out in our favor. Once we started getting prices to change the carpet and counter tops we realized that Leo was on point with the figures he came up with a year earlier. Leo was with us from the beginning of the process to the very end. As a matter of fact when we closed on the home, the seller of the home realized that working with someone like Leo would have been much more beneficial. Leo’s information will remain in my phone and in my email contacts. Anyone who is buying or selling a home in my region will be advised to utilize Leo Flynn. Because of Leo Flynn our home purchasing experience was a breeze. "As soon as we found out we'd be moving to Charlotte from Virginia, we contacted Leo and immediately got to work on trying to find the perfect home for us. We told Leo exactly what we were looking for in the "perfect property" and being out of town, he sent us a list of homes he thought we would like. He was very good at listening to what we wanted, what we liked, and especially what we did not like. He listened to our feedback and from there found us amazing properties to view. We ended up finding this gorgeous property that we wanted to jump all over, but unfortunately, as things do sometimes, it did not work out. Back to the drawing board we went. Leo was always on top of everything. He worked so hard and never gave up. If we found a property we were interested in seeing right away, he got us in to look at it as soon as possible. Weekends, evenings... any time of day he was there for us. One day the stars aligned and we found the perfect us for us. Of of course it did not go without some hiccups, but he handled them beautifully and in the end we got the house, and at an amazing price. Thank you, Leo for working SO hard to help us find our home"
Leo was there for us through entire process start to finish. He was available anytime we needed him. He was very helpful. We looked at a few houses and he was honest and patient. He never rushed us. Leo carefully listened to our long list of needs and wants and found the perfect home for our family. He guided us through what is typically a tedious/"how-many-things-can-possibly-go-wrong" process (new construction) and provided us with a wonderful, headache free experience. He really seemed to go out of his way to make sure our questions and concerns were answered in a timely manner, and went to bat for us on several occasions when we really needed someone in our corner. Very professional, personable, and knowledgeable. Overall, we couldn't be happy with the home he helped guide us into. His client-first approach is a rarity and we're glad we crossed paths. Leo is a hard working realtor and very eager to accommodate both sides to close the deal. He is a man of his word and will always do his best. Your search for good Realtor has ended. You may keep on reading but you really should be clicking on “Contact Me” button and employing Leo as your personal Realtor. I have known Leo for a better part of a decade. Mr. Flynn was always counterparty in the transaction and every time we interacted I was bracing myself for tough negotiations methods he would implement to get the best terms for his clients. With great pleasure I witnessed diligence, care and effort he selflessly and tirelessly dedicated to each and every client. Mr. Flynn would always jump at opportunity to serve his client with genuine enthusiasm to accomplish goals set forth. During transaction he would anticipate obstacles and would always be in front of the issue. I can go on and on… but you can experience his level of service firsthand and benefit from his knowledge and skills. Use his services and I assure you that you will not regret it. Leo is outstanding in what he does, we highly recommend him to anyone looking to purchase a home!! I want to express my sincere thanks for going above and beyond my every expectation and making my first home buying experience a truly stress free event. One of the characteristics that I highly valued in you was your ability to simply - listen. From day 1 you asked the right questions to help me define my needs and you listened to me every step of the way. Another characteristic you possess which sounds simple, but is sometimes rare is your ability to consistently follow up with every question and request that I had. As a homebuyer I would recommend you to my family and friends because I want the people who mean the most to me to have the best. Leo T. is energetic, pleasant, smart and highly sensitive to his clients needs and desires. Leo always goes above and beyond the call of duty to ensure his clients receive nothing less than world class concierge level service and satisfaction. You can be sure he will deliver nothing but the best service possible. I'm writing this letter in reference to the service we received from Leo Flynn during our pursuit of purchasing our first home. As with most first time buyers, there are a lot of questions and concerns that pop up during the initial search, offers, negotiations and the long wait after the offer is accepted and closing. we dealt with a couple of other Realtors and builder agents before working with Leo Flynn. By far, Leo was most helpful not only in answering our questions but also asking the proper questions to the builder agents. We now know a lot of the questions to ask when we purchase our nest home, but without Leo's help, we probably would be questioning our decision. I appreciate and feel the need to comment on the response time and professionalism in which Leo either answered our calls or called back promptly. We would like to thank Leo for his hard work, understanding and professionalism. I would highly recommend Leo to any customer, friend or relative. I was extremely fortunate to have the opportunity to work with Leo T. Flynn recently to obtain a new rental home. I was in a bind and needed something quick (within 30 days), and I must say, had a wish list that may not have been exactly feasible. I emailed Mr. Flynn my requests: location, price point, requirements, school districts, added extras if possible, and within a few hours he had properties for me to review. More than I could imagine. Admittedly I am very picky and wanted a particular neighborhood which is nearly impossible to rent in, and he was able to locate a home that was on the market for rent within two days. He arranged a walk through, Immediately loved the house, and he contacted the other agent involved and made it happen. Our initial email encounter I was somewhat testing Mr. Flynn to see if he could take on the challenge of finding me a home in such a short period of time with all my requirements, and I am beyond impressed with his abilities and the overall outcome. Best part this situation was when we met in person I felt as though I had known him my whole life. He was charismatic, kind, knowledgeable and overall made this very hectic, chaotic time in my life actually pleasurable. My children and I are excited to begin our next life chapter in this beautiful home and it would not have happened without Leo Flynn. I highly recommend Leo to anyone who is looking to rent, buy, or even sell a home. He was amazing. When I am ready to purchase a home, he will be the only person I will have assist me. Leo brings such great people skills with him evrywhere he goes. He is entertaining and fun to be around. I like how down to earth he is and makes everyone fell good aboutbthemselves. He is a good listener. I have found him extremely a pleasure to work with on this home!! Leo Flynn is one of the most professional Realtors I have worked with. He is very organized, efficient with his time and his client relationships are amazing. He always follows up, keeping his clients in the loop and up to date through the entire buying process. He has incredible energy, lots of enthusiasm, and works tirelessly to keep everything he is working on running smoothly. I would highly recommend Leo and feel clients will be glad they chose him. Leo Flynn was an amazing asset when we recently purchased a home in Rock Hill, SC. I assisted my daughter in the purchase of her first home and Leo was there to provide input from start to finish. He provided excellent suggestions but without pressuring. He recommended expert resources for a mortgage lender, home inspection and the closing process. Importantly, Leo focused on us and our desired outcome. We were confident that our concerns were being addressed. Leo took what is a very stressful time and made it easy. I am forever grateful for his expertise. My husband and I were looking to relocate across the country and had no prior knowledge of the NC/SC area. Leo was very knowledgeable about the surrounding areas, builders, and school districts. He was always quick to respond to our emails/questions, and connected us to great resources like builder representatives and mortgage/lending reps.
Leo is a genuinely helpful professional and we would recommend him without hesitation! I am a current client of Leo T. Flynn and I am truly thankful and grateful for all of the experience and assistance Leo has given my wife and I in our home search. He's been on top of every detail that has come up and made us aware of things to look for throughout the home buying process. He is always available day or night 7 days a week and returns phone calls promptly and takes as much time as you need to talk through ideas or concerns you may have. My wife and I highly recommend Leo T. Flynn as your future Realtor; he's truly on your side every step of the way. "He is very professional, knows the area and has the highest standards Loved working with him. I know anyone that works with him will be happy. He is the best". "Leo helped in every way to make my first home buying experience go smoothly. He is a very popular realtor and knows his stuff. He always calls you back ASAP and answers all your questions and gets you answers ASAP. Great guy!" "Leo is the definition of a professional! My wife and I are out of state buyers and were fortunate to find Leo to help us in finding a home. During the whole purchasing process anytime we had a question or need for him to check our home while we were not there during construction he always had time for us. He would contact our builder and perform house walk throughs for us without any hesitation. Leo was our eyes, ears and feet on the ground. After all was said and done we are proud to call Leo our friend!" 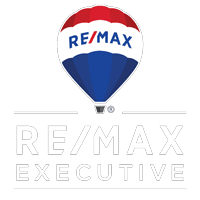 "Right from the start, I was very impressed with Leo's knowledge of the local area, economy, real estate trends and values and the full spectrum of issues relevant to shopping and buying a home. One example that I can provide occurred about noon of day two of our home buying experience. We flew in to Charlotte area from CA and had dedicated three days, to house shopping. Previously, I had been preapproved from a broker for a price that was comfortably within our budget and had spent months internet browsing based on that price point. During the second day of home shopping, I realized that I may want to consider a higher price range than the preapproval, so I called my mortgage broker. Because of lack of documentation that my broker had never bothered to mention to me, right then he informed me that my preapproval was actually $100k LESS than he had led me to believe for the last two months . At this point, I had already invested several thousand dollars in travel and now had wasted days of Leo's time shopping for homes that were $100K beyond my "price range". I WAS AT A COMPLETE LOSS! Long story short, Leo, in a matter of minutes found me another broker that verified my information over the phone and had me back to my preapproved price point in less than one hour from the onset of the dilemma. Great work Leo! I cannot say enough in this review about Leo's promptness, professionalism and courtesy. Leo is worth every minute of your time and every dollar that he is paid! And yes, Leo showed me homes for nearly every hour of those three days and we did make an offer in the last hour! Phenomenal effort by Leo T. Flynn, you will not be disappointed!" "I cannot put into words how awesome of a Real Estate Professional Leo T. Flynn is! I've never worked with a professional with such great response time and availability. No matter what the circumstances were, if we needed to meet Leo last minute, he was there! We were very confident in his knowledge of the Real Estate market in both the Indian Land, SC and Ballantyne, NC areas. Leo provided us with EVERY detail possible regarding properties we were interested in as well as the process we were about to begin! Here is our experience with Leo. Prior to meeting Leo we were under contract with a builder. There were some circumstances that made us consider possibly pulling out of our contract with the builder. In the meantime we decided to start looking at existing real estate and randomly met Leo by requesting a viewing of a house. He didn't pressure us into signing a Buyer's Agent agreement or anything....He showed us the house, provided us with neighborhood comps, and asked us to call him if we had questions or wanted to see another property. Turned out that the house wasn't for us, when we called Leo to let him know, we explained our situation about possibly terminating our contract with a builder. Leo walked us through writing a termination of contract letter and we actually received the entire $3,500 deposit back. He did all of this without ever knowing if we were going to sign with him or possibly purchase a house from him! At that point, there was no doubt about working with Leo. He showed us a few more houses, helped us make a decision, and we closed on our beautiful new home all within 45 days. He also recommended that we speak with a particular mortgage representative that works the same way he does and he was absolutely correct in saying that! Leo is an amazing Real Estate Professional and we recommend him to any buyer or seller that wants to feel confident in knowing your agent is taking care of everything for you!" Leo, what else can I say or do besides express a sincere and heart­felt Thank You. Much has changed in real estate in the ten years since I purchased my previous home. The times where someone could moonlight as a quality real estate agent have come and gone; my recent sale/purchase proved this to me in more ways than I care to admit to. Any agent, buying or selling, can do a good job when things are going well with the process. It’s not until everything begins to fall apart that an experienced agent, one with extensive experience, understanding and patience, stands out and truly shines. When my deal began to fall apart, your professionalism to me, knowledge of the process and ability to mitigate all of the unforeseen circumstances truly set you apart from your peers. You were always quick to respond to my (numerous) questions and showed a tremendous amount of patience even when you had to explain things to me more than once. It would be my pleasure to serve as a future reference for anyone looking to buy or sell and is considering using you as their agent. My wife & I just wanted to thank you for helping us find and purchase our first home. You made our journey so simplistic and enjoyable. From day one, you made it your goal to help us find what we were looking for, constantly e-mailing properties that you felt matched what we wanted (and they did!). You always shared excitement and a willingness to go out of your way to make sure we had all the information, setting up appointments on short notice and just providing the personal service that is often hard to find. You were extremely patient, always smiling and willing to help in every way imaginable. No matter what the obstacle was you guided us through it!! You were never pushy to get the sale and always looked out for our best interest. Anytime we talk to someone who is in need of buying or selling a house, we always speak of you. My wife and I were recently blessed with the opportunity to purchase our first home. We spoke with a few real estate agents, but we felt they were trying to get us to buy the house “they” wanted us to buy, not the house “we” wanted to buy. Personally, with the new development of real estate search engines (Zillow, Redfin, and Trulia), I thought the use of a real estate agent was unnecessary. I spent hours every day trying to find the “perfect home”. Little did I know, I had not tapped in to the best search engine around, Leo T. Flynn. It was a perfect accident getting to meet Leo, and you know what they say, “Everything happens for a reason.” I cannot imagine going through this process without Leo by our side. From finding us the perfect house, to negotiating on our behalf, to educating us on proper procedure, Leo went above and beyond to help my wife and I during a time where the unknown can cause so much stress. There is no doubt that Leo will remain our realtor for any real estate needs in the future. More importantly, we feel as though our family has gained a friend.